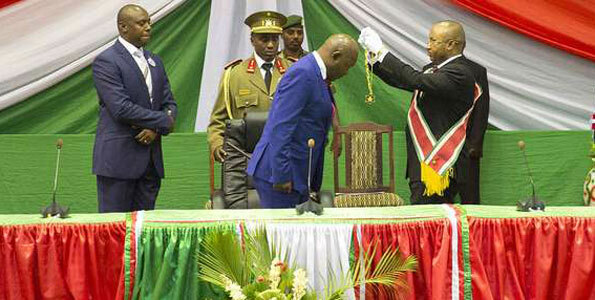 With targeted assassinations of personalities adding to an already chaotic security situation, the people of Burundi have been living in terror since President Pierre Nkurunziza was last week sworn in for an unprecedented third term in office. Amid ongoing unreasonable searches, arrests and assassinations, the nation’s capital city Bujumbura now lives in fear therefore. With the current situation, no one can claim to be free, residents restricting their movements accordingly; because anything can happen to anyone, anytime, including Nkurunziza himself. Evil does not like the light! The above comment is certainly justified as, against all odds and to everyone’s surprise, Nkurunziza’s swearing-in ceremony was hastily arranged at relatively short notice, having originally been scheduled for August 26th to ward off tension. This oath, it must be remembered, was held in secret. As the thief who, aware of the ugliness of his act, carries his booty indiscreetly. Has anyone ever seen evil like light? The international community should consider a replica as to the stubbornness of Nkurunziza. The oath comes at a time where the protagonists are determined to go blow for blow with one another. 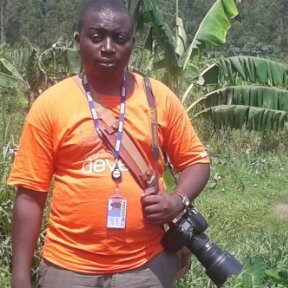 Indeed, following the assassination earlier this month of the regime’s number two, General Adolphe Nshimirimana, an assassination attempt was made the next day on fervent human rights activist, Pierre Claver Mbonimpa, this in addition to the death of Colonel Jean Bikomagu ten days later, all supposedly belonging to the camp of the protesters. Last Tuesday, four members of the presidential party suspected of being police informers, were killed by unidentified men. Proof, if any were needed that little by little, we are slipping insidiously toward civil war in Burundi. And that may be what Nkurunziza wants as a godsend to confer some legitimacy to his controversial mandate. But nothing says that such a situation could not evolve into ethnic war, as some of the signals are worrying parallels, such as the dramatic reversal of main opponent Agathon Rwasa, who coincidentally held the ethnic Hutu majority as did President Nkurunziza. That is why the international community must evaluate this evidence and come to the rescue of the Burundian people, for this game of hypocrisy has to stop and consideration given to an alternative to Nkurunziza. In response to the coup of the latter against the Constitution of his country and the Arusha Accords, against the advice of the African Union (AU), European Union and universal democratic principles, the international community must consider a response to the height of this man’s stubbornness. Without this the international community will be of no assistance to the people in danger, leaving them to face the massacre taking place in Burundi, as each day innocent lives are sacrificed as one man remains in power. In these circumstances it is not clear how Nkurunziza will be forced to relinquish power over the next five years. It has gone too far to recede, everything suggesting that power is about to become his only life insurance, a shell in which he hopes to escape any judgment throughout history. If Nkurunziza was a visionary he would have long since made a positive impact, but his suicidal stubbornness led him down a path of no return. Under these conditions, a civil war would be a good deal for him. For the duty of humanitarian intervention, the international community must activate all enforcement mechanisms at its disposal to stop the butcher of Bujumbura. It is not by threats that it will succeed, but rather by strong actions. It was long ago that the pastor-president last believed in any gospel, if not his own. A low commitment from the international community would however strengthen him in his convictions. That said though, credit can for once be given to the AU which has been consistent in declining the invitation of the Burundian president in attending the rushed presidential swearing-in, when European officials were themselves represented. In doing so, the AU is careful to condone an act he firmly condemned from the outset. This is positive because Nkurunziza understands only the language of firmness. In any case, the conditions of his swearing-in were secret. In the absence of any foreign leader this speaks volumes as to his state of mind and that of his entourage. In any case, these conditions are symptomatic of restlessness and a lack of confidence prevailing in its own ranks. Nkurunziza however may try to accelerate the course of history, though will not escape the fate of any dictator, namely forfeiture in humiliation. Unfortunately, it will in the meantime reopen for his people the gates of hell, easily closed by the Arusha agreements. How long will Burundians live in such a situation? This is the question.